In the past this day was filled with anticipation of visits from family and the eagerness of Jenn and Stephen wanting to open that one Christmas Eve present. We would then play games and eat chips and dip until we coaxed the kids to bed. Ron and I would wait until both kids were sound asleep and then surround the tree with gifts that would stretch across the floor. Stuffed stockings were placed on the presents to be the first thing to open on Christmas morning. Ron and I would go to bed almost as excited as Jenn and Stephen waiting for their reaction. 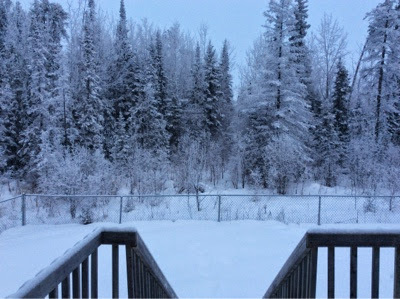 The view from my back door this morning....yes, it is a white Christmas here. This Christmas Eve is different. No family visiting. No children. No gifts under the tree (well, maybe a few!) Ron has already been called into work and he works tonight BUT.....the "boys" are making pizza tonight and I will make a dessert pizza. We will try to get in a game of Risk. (Usually it is Catan, but I have been winning too much lately so they wanted to change it up!). It will be a good evening. 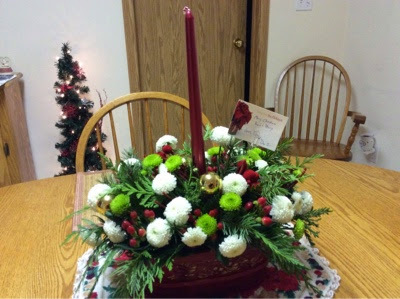 The boys brought us a centrepiece yesterday and it brightened my day and my table. 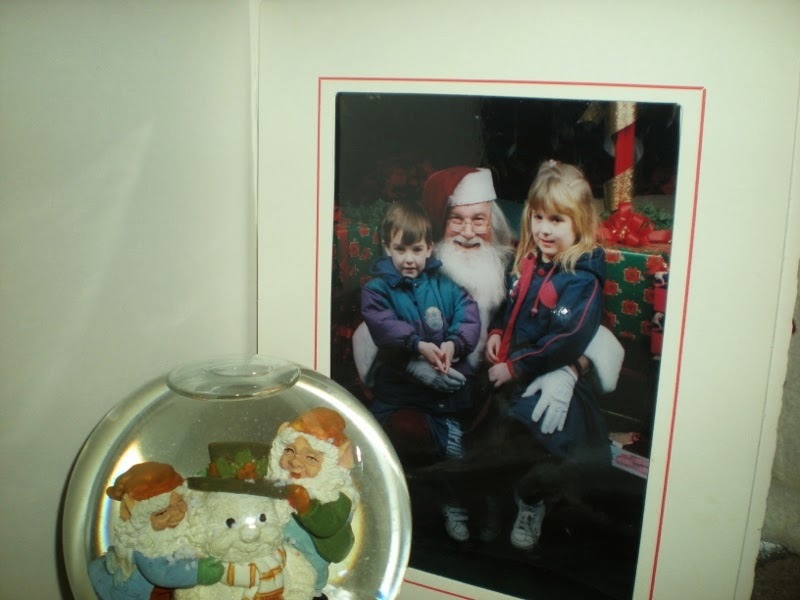 Yes years go by, traditions change, life continues to happen but I will never stop missing my kids. They are always in my heart and I miss them in our home....maybe next year.